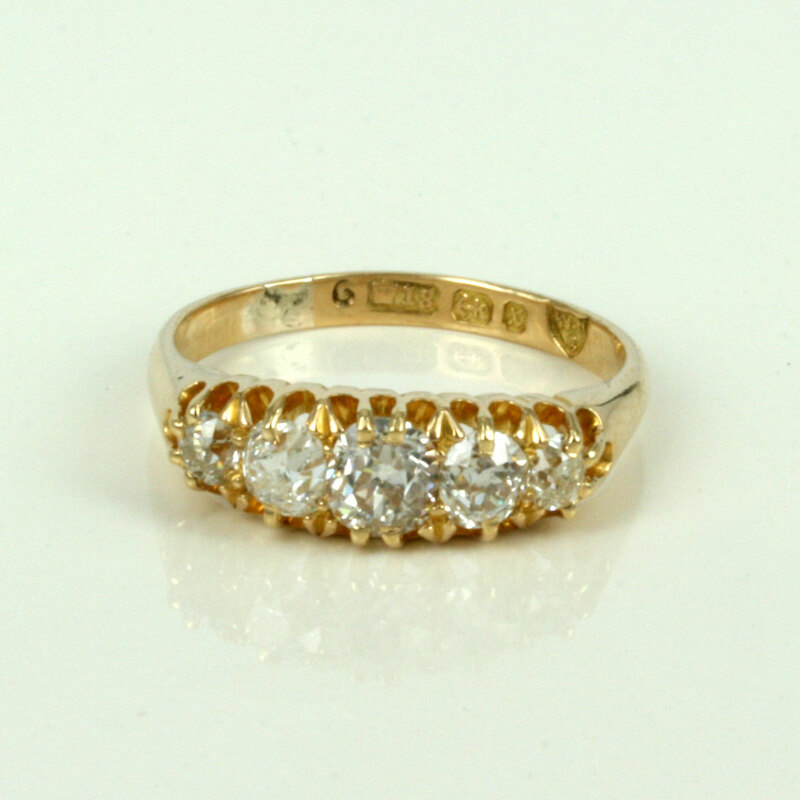 Product code: 1300 Categories: Sold Items, Sold Rings. This is a perfect antique diamond engagement ring that was made in 1899 and still able to be worn every day. 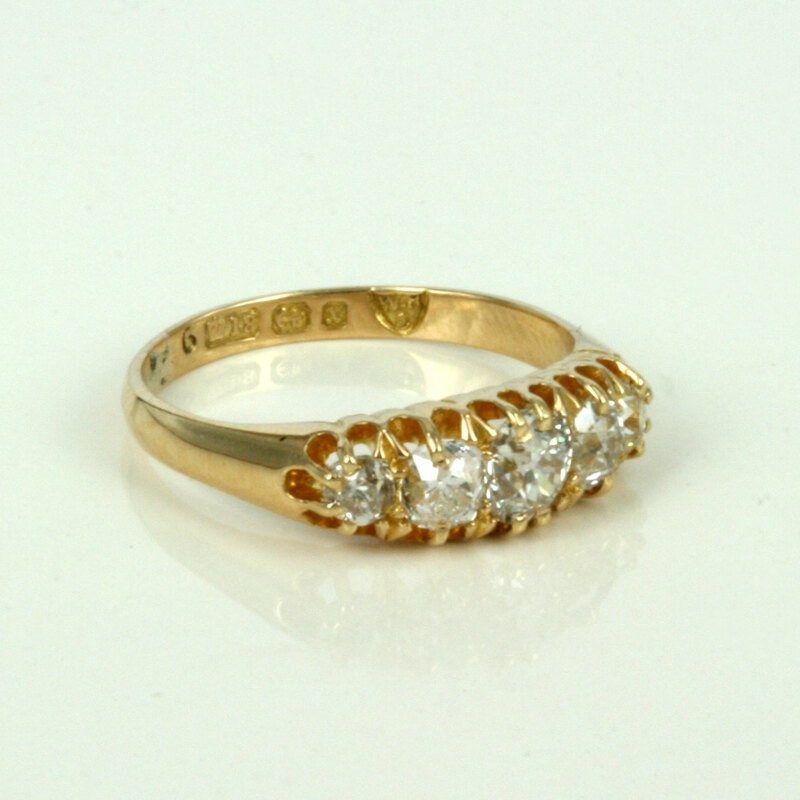 Made in 18ct yellow gold, this ring is set with 5 very nice old European cut diamonds that have a combined weight of 1.10 carats. The diamonds are F-G colour and Vs-Si clarity and all have a great sparkle to them. This ring is just perfect in all respects, and antique diamond engagement rings such as this one, will always be loved and treasured.